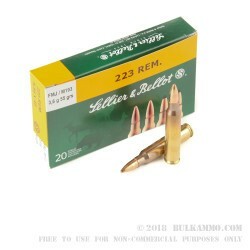 Made to stringent M193 specs and with some added benefits, like lacquer sealed primers, this high value load is a fantastic introduction for many to the world of Sellier and Bellot 223 ammunition. The obvious use case for 55 grain FMJ ammunition with a slightly hot loadout makes this a great bulk bargain with some perks you don’t normally find at this price point. The reliability and uncanny accuracy at the price point makes this a real contender for a bulk of your shooting needs out of AR clones and military style weapons. 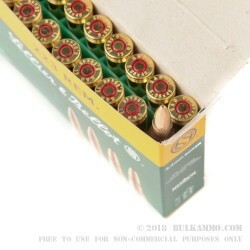 The velocity out of the barrel is right at 3300 feet per second and the energy at the point of bore exit is 1345 ft. lbs. making this a good round for a multitude of purposes, but especially places it squarely into the flat shooting, varmint territory by default. 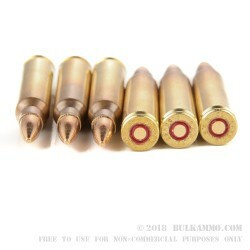 This cartridge features Boxer priming, brass reloadable cartridge casings and annealing at the neck; sealing at the primer and throat and exceptionally clean powders compared to most competitors using the same projectile and spec for the 5.56x45. 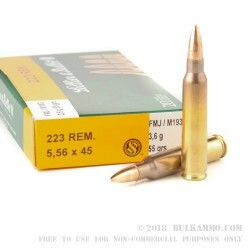 This cartridge can be shot out of any 5.56x45mm firearm and works especially well in higher tolerance builds with twists from 1:7 to 1:10 and in bolt guns for longer ranges. Quick response to order and delivered on the day you said it would arrive.